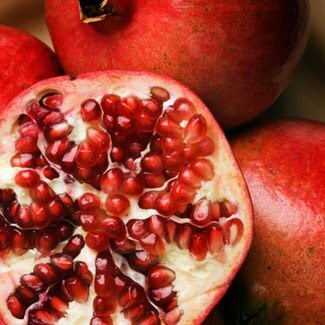 Stop color fadage with the power of pomegranate! Strong detergent shampoos, sun exposure, chlorine and pollution all take a toll on our hair color, leaving it faded and dull. Keep color-treated hair protected with Klorane Pomegranate Shampoo and Conditioning Cream , which gently wash and condition hair, while enhancing and prolonging the intensity of hair color. Natural pomegranate extract, an anti-oxidant rich in tannins to help bind color to the keratin in hair for extra holding power and intensity, and is the key ingredient for radiant, long-lasting color. Moroccan grown pomegranate keeps color vibrant, maintains pigments and prolongs intensity of color and a gentle cleansing base protects against fading. Studies have proven that color lasts up to two times longer, it enhances and prolongs the intensity of the color and reduces damage of hair weakened by color treatments. Available at Beauty.com .